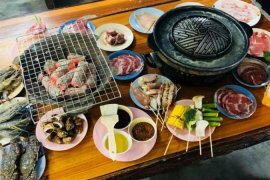 Big Restaurant in Phuket Town with Low Rent. Fly n Sense - Retail Space. Cozy Hostel in Phuket Town with Low Rent. Commercial Space for Rent at Sukhumvit 55. 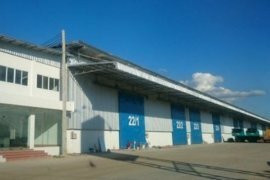 Sell ​​or rent a warehouse / factory on Rama 2 Road, Samut Sakhon..
Factory/warehouse for rent located on highway 331, Chonburi.. Warehouse for rent - Factory 800 sq.m., Lam Luk Ka Khlong 3 ready to be used immediately. Have office. 12,485 m2 / 7 Rai 3 Ngan 21.25 Sq.W. Office for rent - Empire Tower. 18 Rooms Hotel in Patong with Lift for Lease. Highly Rated Guesthouse in Nai Harn for Lease. Office for rent - Ample Tower, Bangna-Trad Road..
Mini factory for sale/lease on Phahonyothin rd.,Prathumthani. Office for rent - UM Tower, Ramkhamhaeng Road..
Office for rent - Muang Thai-Phatra Complex. Office for rent - TIPCO Tower. Beautiful Tropical Resort for Lease with Low Rent. Warehouse for rent located on Rama 2 Rd, Bangkok..
Land and Building for Lease. Factory / Warehouse for lease on Phraya Suren Road..
Food Shop at Busy Chillva Market Phuket Town. Office for rent - Thai Summit Tower. 34-storey office building located on New Petchburi Road. Floor Area approx. 1,100 sq.m. Hello, Please contact me, I am interested in commercial property for Rent in Thailand. Best Regards.